Unique double belt barrier with chrome post and 2m black belts. Many public places such as banks, shops and many other locations encounter the build up in demand throughout the day that may result in queues building up. 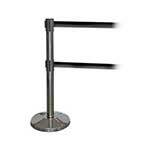 Belt barriers are an alternative solution to traditional rope barrier, offering greater flexibility and easy storage. 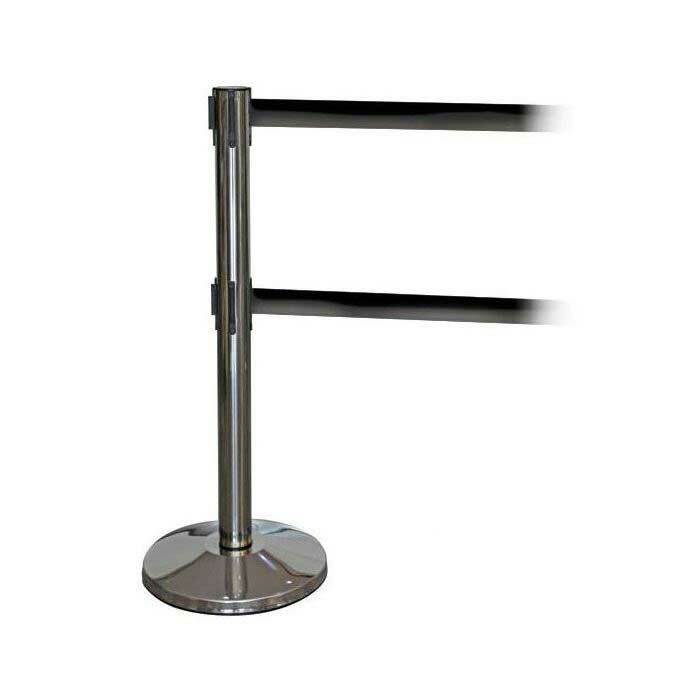 As a queue management system, you can't do much better than the flexibility and quality appearance provided by belt barriers. This unique double belt system is not only delivered fully assembled but its double belt configuration and 1015mm post height clearly identifies where customers need to queue, helping to keep walkways and other areas clear moving. Each of the two 2m belts supplied can be connected in 4 different directions creating a highly adaptable belt barrier system while the concrete base chrome posts have an anti-finger mark finish ensuring they look new and clean for longer.